and through Your gift possess eternal joy. 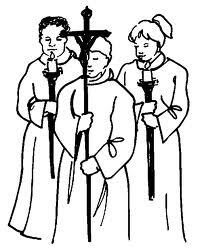 Altar Servers Handbook: Parents can download a copy of the Resurrection Parish Altar Servers Handbook for review with their children. Altar Servers work with the priest and others to make liturgical celebrations (sacrifice of the Mass) as smooth and worship focused as possible. They do this by performing the duties with dignity, reflecting the true presence of Christ at the Mass. It is said the best servers are those who are transparent. In other words never cause the focus to be taken away from the Mass and directed towards you. be recommended by their REP Teacher, DRE, a Deacon or Priest. be able to serve at least one Mass each month. Please contact a Priest or the Rectory to learn more about this service opportunity. And bless me with love, that I may keep doing it for You. Amen. Lectors Handbook: Current lectors and those who are wishing to become lectors may download a copy of the Resurrection Parish handbook for this ministry. A lector is one who proclaims the word of God at Mass. 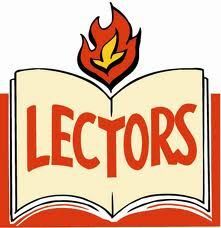 The word ‘Lector’ comes from the Latin, legere ‘to read’. The lector assists at Mass by proclaiming the first and/or second readings and occasionally the Psalm and General Intercessions. 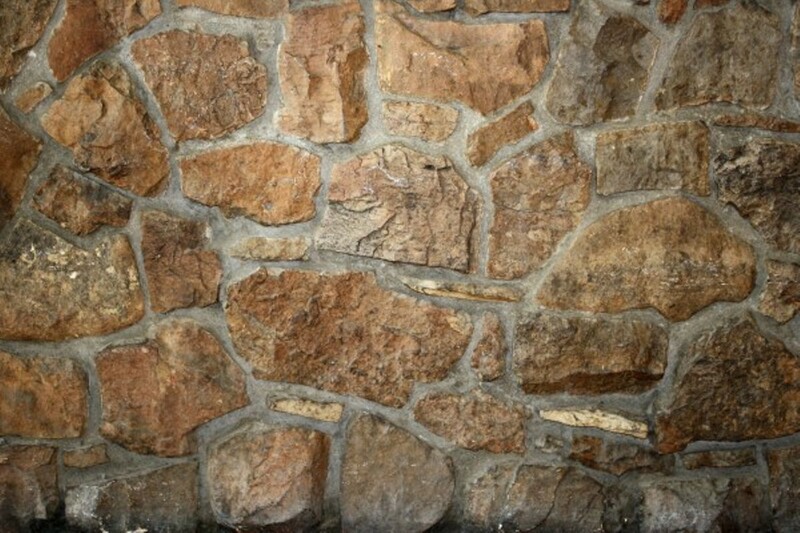 The lector’s role is not merely to read but to bring the word of God to life for the assembly. Lector is an official ministry of the Catholic Church, not just a volunteer activity. A sacramental celebration of the Word of God is never mere reading of texts. It is the public proclamation in the midst of the assembled faithful of who God is, where God can be found and how God works through us. It is a sacramental event. When the Word is truly proclaimed and heard, things happen. 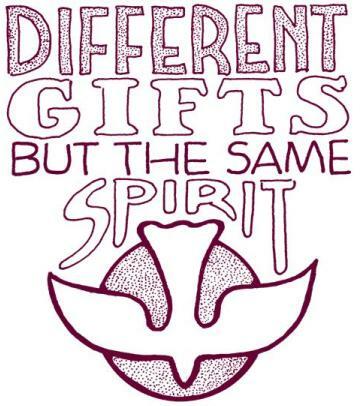 It becomes the experience of the power and presence of the living God in this community, here and new. It is the discovery that the great works of God are not simply history but are enacted anew in our own community as we gather to worship. as an extraordinary minister of Holy Communion. And make me worthy to bring Christ to others. Amen. 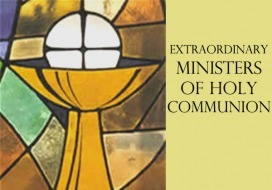 Extra Ordinary Ministers of Holy Communion Handbook: Current Extra Ordinary Ministers of Holy Communion and those who are wishing to become Extra Ordinary Ministers may download a copy of the Resurrection Parish handbook for this ministry. Extraordinary Ministers of Holy Communion (EMHC) are members of the community who feel called to be more involved in the celebration of Mass. They assist the priest in distribution of the Blessed Sacrament at Mass and the homebound. "The faithful who are special ministers of communion must be persons whose good qualities of Christian life, faith and morals recommend them. Let them strive to be worthy of this great office, foster their own devotion to the Eucharist, and show an example to the rest of the faithful by their own devotion and reverence to the most august sacrament of the alter." Lord, you make all kinds of people, even people like me. served those who gathered about him. and may I radiate the joy that faith brings as I serve their needs. Give me you strength to support my fellow ministers. and through the ministry of ushers like me. Amen. Hospitality (Ushers/Greeters) Handbook Current members of the Hospitality Ministry and those who are wishing to become Ushers and Greeters may download a copy of the Resurrection Parish handbook for this ministry. 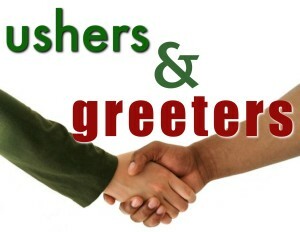 Usher/Greeter: The function is simple but very important; to make all in attendance feel welcome at Mass and to assist the pastor and the parishioners as needed. They are men and women who welcome worshipers to our church and assist the Parish family in many ways. Ushers demonstrate the greatest hospitality to the parishioners and guests who arrive at our church by the greeters demeanor and their willingness to serve. After all if people do not feel welcomed at the door, they will not return to hear the Word of God, nor to celebrate the Mass. 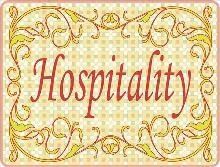 This Hospitality ministry is very important. Greeters arrive early to welcome people as they enter the church, and reverently participate in Mass when it begins. Service includes distribution of missals, bulletins or other materials, taking up the collection and bringing gifts to the altar. They assist the disabled if required and ask if they need special assistance at communion. They stand by to assist as needed at special masses (distribute palms, candles, assist with set up and clean up as needed, etc.). They organize the collections at the end of Mass and deposit them in the safety box. The members of the Hospitality ministry are often the last to leave as they secure the building, turn out lights and assist any in the parking lot with troubles. Perhaps you have been “drafted” to help take up the offering at Mass and now would like to more about this Parish Service?